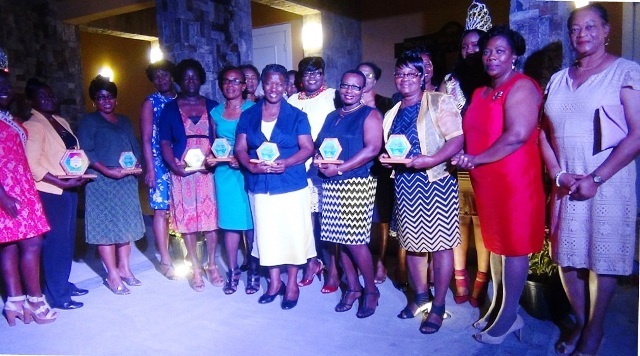 NIA CHARLESTOWN NEVIS (MARCH 15, 2016) — Eleven women were honoured for their exceptional community service by the Ministry of Social Development, Department of Social Services’ Gender Affairs Division, at the International Women’s Day 2016 Women of Excellence Awards Ceremony and Cocktail on March 12, 2016, at the Nevis Performing Arts Centre in Pinney’s. Valencia Griffin and Carolie Wallace were honoured from the St. James’ Parish; Alice Swanston and Naomi Douglas from St. Thomas’ Parish; Myrtle Howell and Genevie Daniel from St. Paul’s Parish; Vanessa Williams and Lineth Williams from St. John’s Parish; and Mary Dore and Vanita Walters from St. George’s Parish. Judith Dasent, a videographer for more than 30 years, was presented with a Non-Traditional Occupation for Women (NOW) Award. According to the division’s criteria for selection, the awardees have shown exemplary leadership in familiar, social and occupational settings; have been positive examples for young people on the island; have shown a general high level of integrity and character and have gone above and beyond the call of duty to help others in need. Junior Minister responsible for Social Development Hon. 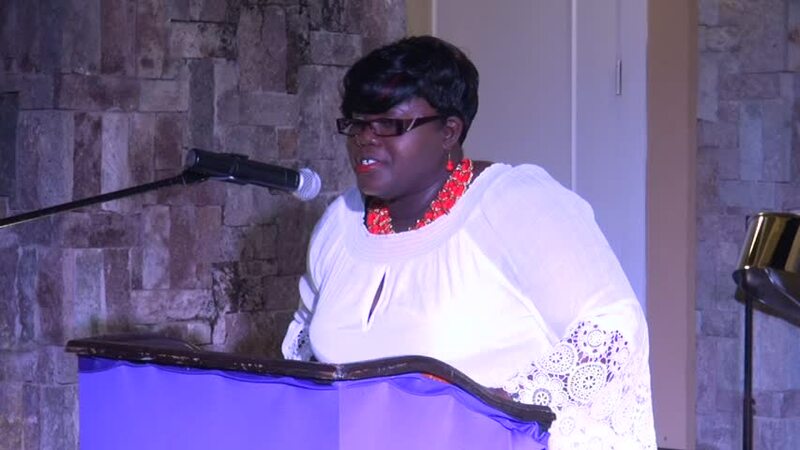 Hazel Brandy-Williams in her remarks at the Awards Ceremony urged women on Nevis to spur each other to greater heights in all spheres of life. She reminded the honourees and the women of Nevis that they are of immense value to their families and communities in a tangible way and their vision, generosity, compassion, business acumen, political savvy, depth of faith, their family life and integrity have impacted all they serve. “Nevis treasures you. Nevis treasures all women,” she said. She said if women forget to think about themselves, embrace themselves and their accomplishments, they would soon be forgotten so it is imperative that they celebrate each other. Other remarks came from Coordinator of the Gender Affairs Division Lorraine Archibald. The invocation was delivered by Muriel St. Jean, and Londa Brown, Coordinator of School Libraries in the Department of Education, chaired the event. Among those present at the Awards Ceremony were Resident Judge Justice Lorraine Williams and Magistrate Yasmin Clark.